Please contact the school office if you would like more information about our provision. The Nursery team comprises of Miss Ikin, class teacher and Mr Harrison and Mr Wilton who are classroom TAs. The uniform for boys and girls is the same. Black/ navy shoes, pumps or trainers with Velcro or buckle fastening- not laces. 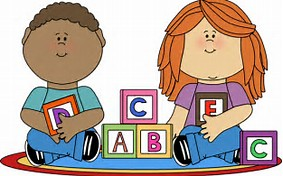 St John Fisher is 26 FTE (Full time equivalent) place nursery for 3 and 4 year olds. We offer either 15 hour or 30 hour provision if you are entitled. We will apply our over-subscription criteria if necessary which can be found on our website. Timings for the school day are outlined below for the different phases of the school. It is important to us that your child thrives in our Nursery and develops a love of learning that is achieved through a successful partnership between home and school. We believe our Nursery will provide a warm, secure, happy and stimulating environment with lots of positive social interaction. We consider the education of children is a joint venture between parents and school. When we work together the results have a positive impact on children’s development and learning. A successful partnership is vital for confident, happy children who enjoy learning and school life. If you have any questions or queries regarding your child then please let us know. There will always be a member of staff willing to talk to you should you have any worries about your child’s education or welfare.